^ a b c d Moeller, Charles (1913). "Hospitallers of St. John of Jerusalem" . In Herbermann, Charles. Catholic Encyclopedia. New York: Robert Appleton. ^ a b Diamond, Jim. "Malta History". Jimdiamondmd.com. Retrieved 2008-10-12. ^ "History: Knights of Malta to Present". Malta Visitor Guide. Retrieved 2008-10-12. ^ a b "History of the Order". Knights of Malta. Archived from the original on 5 July 2008. Retrieved 2008-10-12. ^ a b "History of the Order 1066–1999". Order of Malta UK. Archived from the original on 24 July 2008. Retrieved 2008-10-12. ^ "The Knights of Malta". Focus on Malta. Retrieved 2008-10-12. ^ Mairav, Zonszein (August 5, 2013). 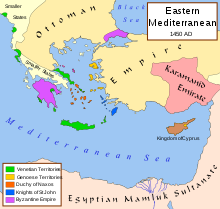 "Mideast's Largest Crusader-Era Hospital Unveiled". National Geographic Society. Retrieved 24 December 2017. ^ "Sovereign Order of Malta – official site". Orderofmalta.int. Retrieved 2016-09-12. ^ "Home Page". St John International. Retrieved 2016-06-17. ^ "History of the Order of St John". St John of Jerusalem Eye Hospital Group. Retrieved 2008-10-12. ^ Stair Sainty, Guy. "The Self-Styled Orders of Saint John (Part II)". Chivalric Orders. Archived from the original on 19 October 2008. Retrieved 2008-10-12. Cohen, R. (15 April 2004) . Julie Barkley, Bill Hershey and PG Distributed Proofreaders, ed. 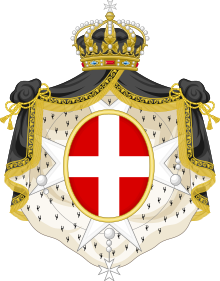 Knights of Malta, 1523–1798. Project Gutenberg. Retrieved 2006-05-29. Lindgren, Carl Edwin (September–October 1999). "Some Notes About the Sovereign Military Order of Malta in the U.S.A". Nobilita (Rivista di Araldica, Genealogia, Ordini Cavallereschi). Istituto Araldico Genealogico Italiano. 7 (32). Phillips, Walter Alison (1911). "St John of Jerusalem, Knights of the Order of the Hospital of" . In Chisholm, Hugh. Encyclopædia Britannica (11th ed.). Cambridge University Press.